Round-lobed hepatica blooming along the Burlington Bike Path. This morning in Huntington at 6:30AM it’s currently a frosty 25 degrees under clears skies. Winds are calm. Relative humidity is 91%, dewpoint 22, barometric pressure 30.32″ and rising. 24hr high was 48, low 24. High pressure cresting over the area this morning will bring us another clear and sunny day. Chilly morning temperatures will moderate nicely and pump up to seasonable norms with a high around 55F with winds from the NNE at 5 to 10 mph. Low pressure currently moving out of the Ohio River Valley will pass just south of the North Country later this evening bringing partly cloudy with a chance of rain in the evening, then overcast with a chance of rain. Lows will be around 41F with winds from the SSE at 5 to 10 mph. Chance of rain 50% with greater probability further south. Tuesday should be overcast with a chance of rain. Highs will be around 54F with winds from the East at 5 to 15 mph shifting to the West in the afternoon. Chance of rain is 50%. Tuesday night should be mostly cloudy with a chance of rain. Lows will be around 45F with light winds. Chance of rain is 20%. Brief high pressure should build into the region Wednesday bringing partly cloudy skies and milder temperatures. Highs will be around 61F with light winds. Wednesday night should be partly cloudy with a chance of rain in the evening, then mostly cloudy as a warm front moves in. Lows should be around 52F with winds from the SE at 5 to 10 mph. Last year on this date we had a high of 58 and a low of 37. We picked up 0.04″ of rain. 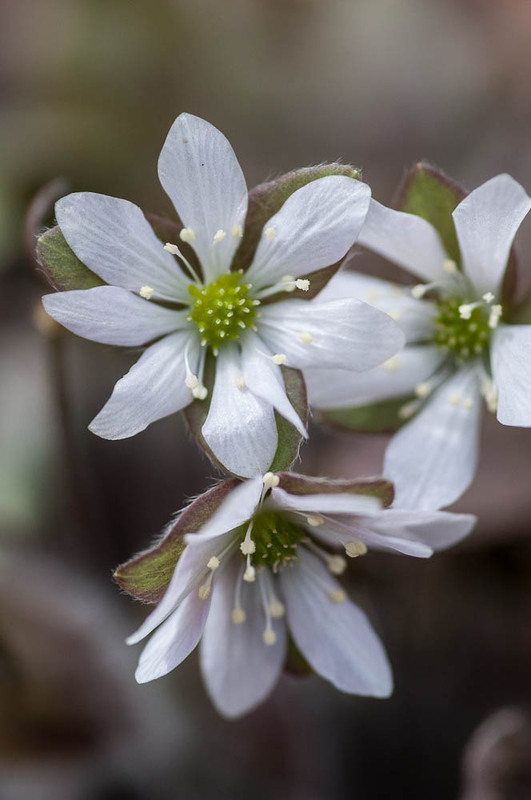 Signs of spring were coming in hot and heavy last year at this time with blood root, purple trillium, dutchman’s breeches, white throated sparrows and tree swallows all making their first appearances. Most of these have been around for close to two weeks now this year. Burlington norms for this date are highs of 61°F and lows of 39°F. Record high was 84°F in 2004 (we had a high of 77). Record low was 27°F in 1967. Tomorrow will be 2m 39s longer. The Moon is waxing gibbous, 9d 3h old with 61% illumination. This morning in Huntington at 7:35AM it’s currently a frosty 32 degrees under mostly clear skies. Winds are calm. Relative humidity is 91%, dewpoint 29, barometric pressure 30.12″ and steady. 24hr high was 47, low 24. High pressure continues to build into the region today. We’ll see another day of clear skies and below normal daytime temperatures. Highs will be around 48F with winds from the NNW at 15 to 20 mph and gusting to 30 mph. Tonight should be clear and cold with lows around 27F and winds from the NNW at 5 to 15 mph. Monday should start out clear in the morning. It’ll be warmer as high pressure moves off the coast allowing for a warmer southerly airflow to set up. Highs will be in the upper-50s to lower-60s with winds from the North at 5 to 10 mph. Monday night should be mostly cloudy in the evening, then overcast with a chance of rain as developing low pressure currently in the Ohio River Valley moves in. Lows will be around 41F with light. Chance of rain is 50%. Tuesday should be overcast with a chance of rain. Highs will be around 52F with winds from the SSE at 5 to 10 mph shifting to the East in the afternoon. Chance of rain is 50%. Tuesday night should be overcast with a chance of rain and fog overnight. Lows will be around 41F with light winds. Last year on this date we had a high of 59 and a low of 39. We picked up 0.34″ of rain. Burlington norms for this date are highs of 60°F and lows of 39°F. Record high was 85°F in 1986. Record low was 24°F in 1934. Tomorrow will be 2m 41s longer. The Moon is in its first quarter, 8d 4h old with 51% illumination. Lovely sky last night with Venus in the east, the moon to the south and Mars in the east! 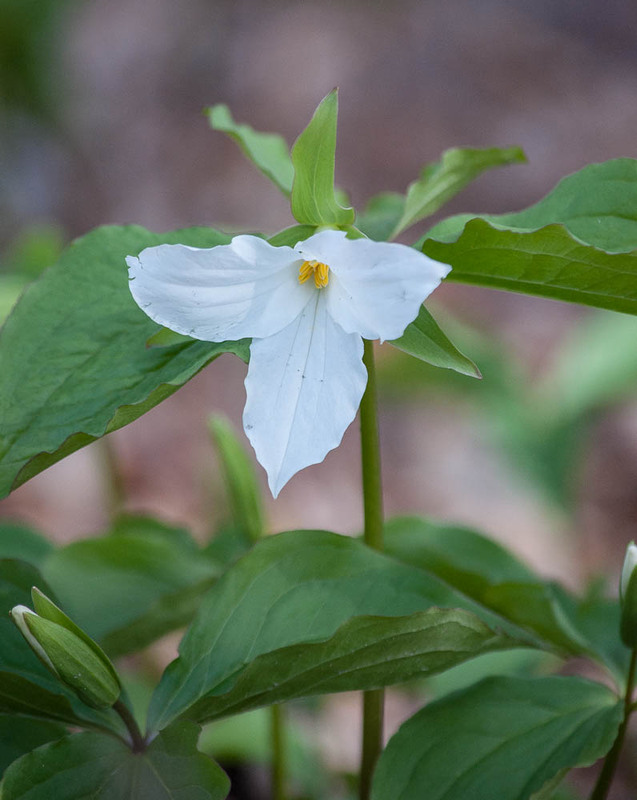 White trillium or Wake Robin blooming along the Burlington Pike Path. This morning in Huntington at 8:20AM it’s currently 30 degree under overcast skies. Winds are out of the west at 2-6 mph. Relative humidity is 67%, dewpoint 20, barometric pressure 30.16″ and rising. We picked up 0.05″ of rain and a dusting of snow in the past 24hrs. 24hr high was 46, low 29. High pressure building into the region will dominate the weather for the next few days bringing clearing skies and unseasonably cool temperatures. Today we’ll see morning clouds with snow showers, then clearing skies later in the day. Highs will be around 46F with winds from the NW at 10 to 20 mph. Tonight should be clear and chilly with lows of 27F and winds from the NW at 5 to 10 mph. Sunday should be clear with highs of 46F and winds from the NW at 10 to 20 mph. Sunday night should be clear and chilly again with lows of 27F and winds from the NW at 5 to 10 mph. Monday’s looking clear and a tad warmer with highs of 55F and winds from the North at 5 to 10 mph. Monday night should be overcast with a chance of rain after midnight as low pressure moves in. Lows will be around 37F with light winds. Chance of rain is 20%. Last year on this date we had a high of 73 and a low of 61. We picked up 0.43″ of rain. Burlington norms for this date are highs of 60°F and lows of 38°F. Record high was 90°F in 1990. Record low was 24°F in 1947. The Moon is a waxing crescent, 7d 5h old with 41% illumination. 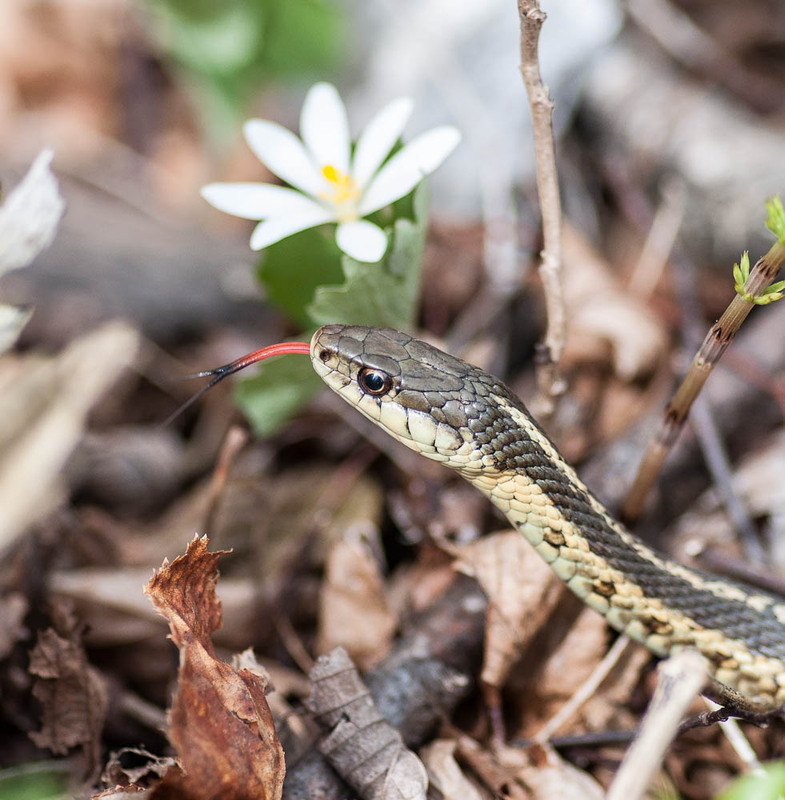 A garter snake poses next to a bloodroot along the Burlington Bike Path yesterday. This morning in Huntington at 6:35AM it’s currently 37 degrees and raining lightly under overcast skies. There are a few sloppy snowflakes mixed in every now and then. Winds are out of the west at 0-4 mph. Relative humidity is 94%, dewpoint 36 barometric pressure 29.63″ and rising. We picked up 0.51″ of rain overnight. 24hr high was 57, low 37. There is currently a Freeze Warning in effect for the Champlain Valley and much of New York state from 11:00PM tonight to 10:00AM Saturday morning. The low pressure system and associated cold front currently heading offshore in Maine will bring upslope precipitation to the region today. We’ll see overcast skies with snow and rain this morning, then a chance of rain in the afternoon. Highs will be around 46F with winds from the WNW at 20 to 25 mph and gusting to 35 mph. Chance of precipitation 80%. Snowfall totals may reach 5-7″ on the mountaintops today with 3-4″ above 2500′ and a dusting to 1″ to 1000′. Tonight should be cloudy in the evening, then partly cloudy as high pressure builds in. Lows will be cold – around 25F – with winds from the NW at 15 to 20 mph and gusting to 30 mph. Cover up any of those sensitive plants tonight! High pressure will move into place for the weekend bringing clearing skies and chilly temperatures. We’ll see partly cloudy skies Saturday morning, then clearing skies. Highs will only reach the low- to mid-40s with winds from the WNW at 15 to 20 mph. Saturday night should be partly cloudy in the evening, then clear. Lows will drop to around 25F with winds from the NW at 5 to 10 mph. Sundays’s looking clear with highs of 46F and winds from the NNW at 15 to 20 mph. Sunday night should be clear and cold with lows of 25F and winds from the WNW at 5 to 10 mph. 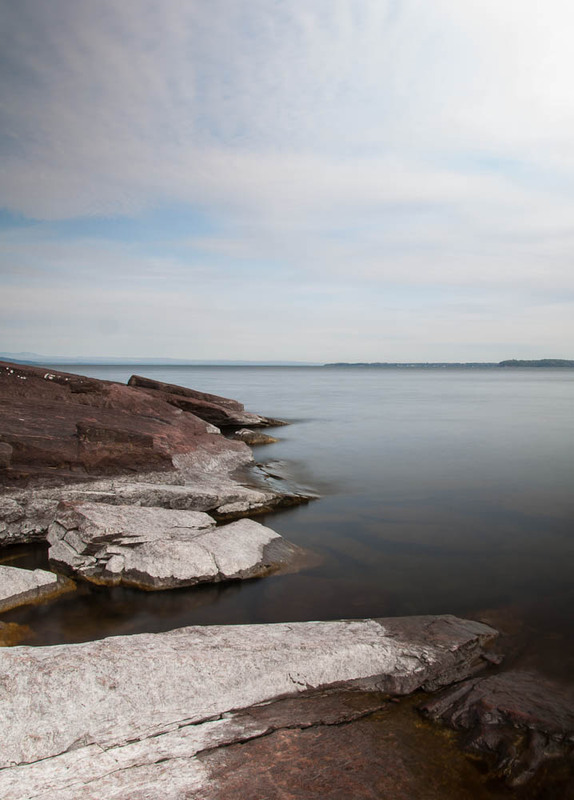 Temperatures are expected to rebound going into early next week. Burlington norms for this date are highs of 59°F and lows of 38°F. Record low was 22°F in 1972. Tomorrow will be 2m 43s longer. The Moon is a waxing crescent, 6d 3h old with 31% illumination. 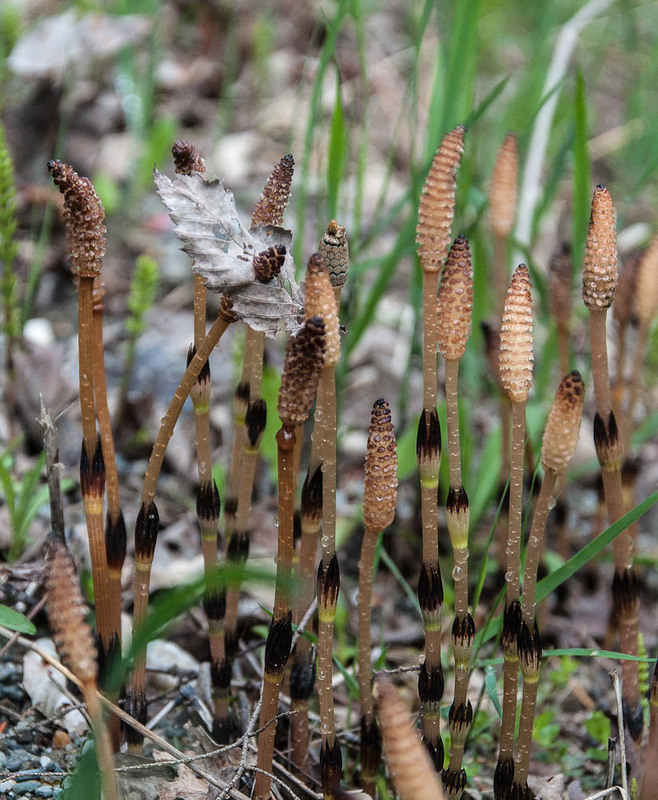 Horsetail "strobili" (the spore producing part of common field horsetails) along Dugway Road. This morning in Huntington at 6:20AM it’s currently 32 degrees under clear skies. There’s just a hint of frost here. Winds are calm. Relative humidity is 96%, dewpoint 31, barometric pressure 29.88″ and steady. We picked up 0.23″ of rain and melted precipitation yesterday and had another precipitation potpourri going on here with rain, snow, sleet, graupel, and hail at some point during the day. 24hr high was 49, low 32. Low pressure currently over the Ohio Valley will track in our direction during the day today bringing rain to the region by nightfall. We’ll enjoy a mild day today however with clear skies this morning giving way to clouds later in the day. Highs will be around 63F with winds from the ENE at 5 to 10 mph shifting to the SSE in the afternoon. Tonight will see overcast skies with rain. Lows will drop to around 32F with winds from the South at 5 to 10 mph. Chance of rain is 80% with rainfall amounts near 0.4″ possible. Higher elevations above 2500′ will see some snow as cold air moves in on the backside of the storm as it passes to the east. Friday should be mostly cloudy with a chance of snow and rain showers in the morning, then a chance of rain in the afternoon. Highs will be around 46F with winds from the NW at 15 to 20 mph and gusting to 30 mph. Chance of precipitation is 50% . Friday night should be partly cloudy with a chance of snow and a chance of rain in the evening, then mostly cloudy with a chance of snow. Lows will be chilly – around 25F – with winds from the NW at 10 to 20 mph and gusting to 30 mph. Chance of snow is 30% with high elevations above 2500′ seeing some moderate accumulations on the order of 3-6″. Elevations from 1500′ to 2500′ might see a dusting to an inch or so. Surface high pressure will build in Saturday bringing partly cloudy skies in the morning, then clear skies later in the day. It’ll be on the cool side with highs of 46F and wind from the NW at 10 to 15 mph. Saturday night should be clear and chilly with lows of 27F and winds from the NW at 5 to 10 mph. Last year on this date we had a high of 59 and a low of 48. We picked up 0.51″ of rain and enjoyed our first major thunderstorm of the season. Record high was 84°F in 1913. Record low was 20°F in 1919. Tomorrow will be 2m 45s longer. The Moon is a waxing crescent, 5d 3h old with 22% illumination. 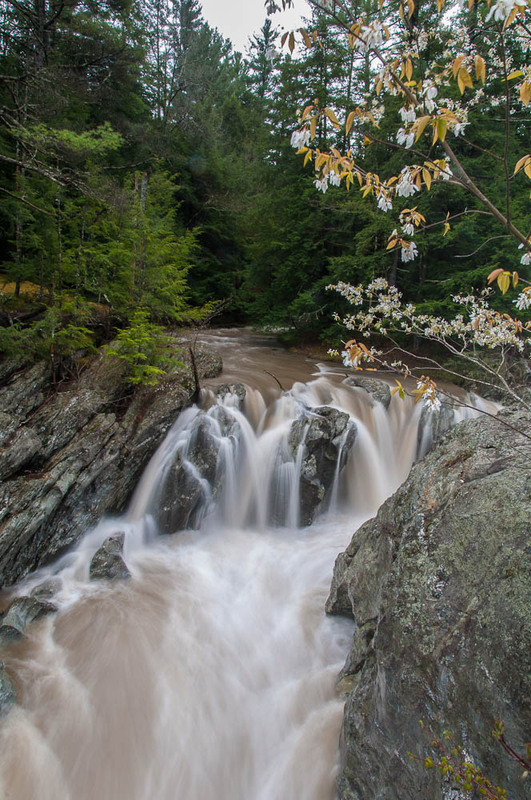 The overflow channel at Huntington Gorge flowing with muddy water--an amelanchier flowering in the foreground. This morning in Huntington at 6:30AM it’s currently 40 degrees under overcast skies. A couple of random drops of rain are falling. Winds are out of the west at 3-5 mph. Relative humidity is 78%, dewpoint 34, barometric pressure 29.64″ and rising. We picked up 0.08″ of rain in the past 24hrs and saw quite the smorgasbord of precipitation yesterday—rain, snow, sleet, graupel—you name it, it fell, sometimes accompanied by a driving wind. 24hr high was 50, low 40. The stubborn low pressure system that’s been affecting our weather for the past several days is slowly making its way north over James Bay. We’ll another day of overcast skies with a chance of snow or rain this morning, then a chance of rain in the afternoon. Highs will be around 52F with winds from the West at 5 to 10 mph. Chance of precipitation is 40% . Tonight should be partly cloudy as brief high pressure moves through. Lows will drop to around 28F with winds from the SSW at 5 to 10 mph. Thursday should be overcast with a chance of rain in the morning, then rain in the afternoon as low pressure currently over the Ohio River Valley makes its way eastward and up the coast. Highs will be around 63F with winds from the East at 10 to 15 mph shifting to the South in the afternoon. Chance of rain is 90%. Thursday night should be overcast with a chance of snow and rain in the evening, then mostly cloudy with rain. Lows will be around 32F with winds from the SW at 10 to 15 mph shifting to the WNW after midnight. Chance of precipitation is 60% with the possibility of snow accumulations of 2-5″ above 2000′ for the ‘Dacks and western slope of the Greens into Friday. Friday’s looking partly cloudy with highs around 46F and winds from the NW at 15 to 20 mph and gusting to 30 mph. Chance of rain is 20%. Friday night should be overcast in the evening, then partly cloudy. Lows will be around 27F with winds from the WNW at 5 to 15 mph. Last year on this date we had a high of 64 and a low of 36. We picked up 0.10″ of rain. Burlington norms for this date are highs of 58°F and lows of 37°F. Record high was 86°F in 2009 (we had a high of 86). Tomorrow will be 2m 47s longer. The Moon is a waxing crescent, 4d 3h old with 15% illumination. 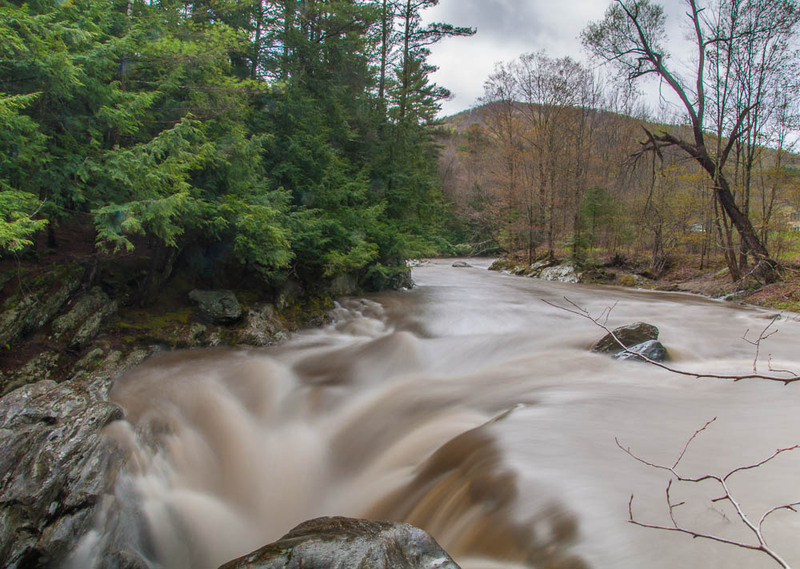 Chocolate cream river: the rain-swollen Huntington River yesterday just before it drops into the Gorge. This morning in Huntington at 6:35AM it’s currently 39 degrees and raining under overcast skies. Wind are out of the west at 5-8 mph. Relative humidity is 90%, dewpoint 36, barometric pressure 29.26″ and rising. We picked up 0.34″ of rain in the past 24hrs. 24hr high was 62, low 39. We’ve got another wet and breezy day on tap today thanks to low pressure that is slowly moving northward out of the region. Wrap-around moisture will give us overcast skies with a chance of rain today. Highs will be around 54F with winds from the North at 15 to 20 mph and shifting to the South in the afternoon. Chance of rain is 40%. Tonight should be overcast with a chance of rain, then a chance of rain and a chance of snow after midnight at mountain elevations. Lows will be around 39F with winds from the East at 5 to 15 mph. Chance of precipitation is 50% . Wednesday should be much the same – overcast with a chance of rain with highs of 50F and winds from the SSW at 5 to 10 mph. Chance of rain is 50%. Wednesday night should be mostly cloudy in the evening, then overcast. Low of 32F. Winds from the SW at 5 to 10 mph. Chance of rain is 30%. Thursday’s looking overcast with a chance of rain. Highs will be around 59F with winds from the East at 5 to 15 mph. Chance of rain is 50%. Thursday night should be overcast with a chance of rain. Lows will be around 32F with winds from the West at 10 to 15 mph. Chance of rain is 20%. We should see some clearing, but with cool temperatures going into the weekend. Last year on this date we had a high of 60 and low of 38. We picked up 0.14″ of rain. Burlington norms for this date are highs of 57°F and lows of 37°F. Record high was 80°F in 2001. Record low was 23°F in 1930. Tomorrow will be 2m 46s longer. The Moon is a waxing crescent, 3d 3h old with 9% illumination. Did anyone catch the crescent moon and Venus through the clouds yesterday evening? Lovely!